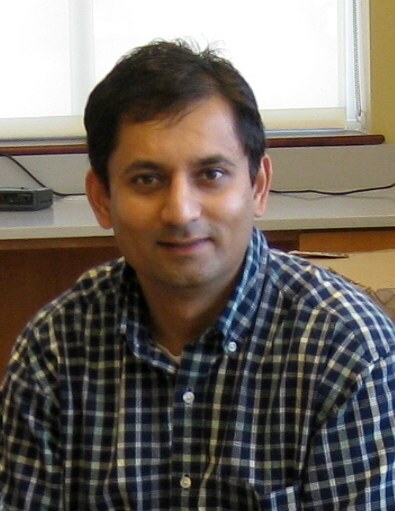 Ketan Patel, Ph.D. joined the lab in late 2008 as a postdoctoral researcher. He helped set up the laboratory and led our first sequencing experiments. Ketan played a key role in the blueberry genome project – he designed experiments, collected samples, made libraries, and led our first annotation efforts. In 2011, he joined the US Naval Medical Research Center in Silver Spring, Maryland as a Research Scientist. Most recently, Dr. Patel and Navy colleagues set up and ran a mobile lab for diagnosing ebola infections in Africa. And in 2015, he was inducted into the Texas A&M University Academy of Distinguished Former Students. Dr. Patel is now a Research Fellow at the Centers for Disease Control in Atlanta. April Roberts Estrada joined the group in 2011 as a Research Specialist to help manage the experimental side of the lab. During her tenure, she trained more than a dozen students and summer interns, brought new cloning and alternative splicing measurement techniques to the lab, and contributed to multiple software projects as a representative domain expert in biology. She also published several articles, spoke about her work at national meetings, and helped run training workshops at UNC Charlotte and beyond. Building on her experiences managing scientific data and documents, she joined Duke Energy in 2018 as a document control specialist. Kyle Suttlemyre worked with the IGB team to implement new ways for IGB to consume data via REST Web services. 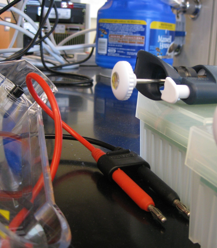 Since then, we have extended this technique to other data sources, such as the Bio-Analytic Resource hosted at the University of Toronto. John Nicol joined the team as lead software engineer on the Integrated Genome Browser Project. During his tenure, John added dozens of features to IGB, re-factored the code base, introduced industry-standard software development practices, and helped mentor more than a dozen students, including IGB lead engineer Hiral Vora, who replaced John in 2011. Since moving on in 2011, John has worked in software development at LinkedIn and Amazon. John Nicol is now a Staff Software Engineer at Duolingo. Adam English joined the lab as a graduate student researcher while working toward his Professional Science Masters degree in Bioinformatics. He worked on alternative splicing in Arabidopsis and was the lead author of the ArabiTag software. Following graduation, Adam joined the Baylor Genome Center, where he now holds a position as Senior Bioinformatics Programmer. 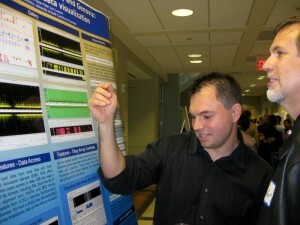 At Baylor, he wrote PBJelly, a popular tool improving genome assemblies using sequence data from the Pac Bio platform. 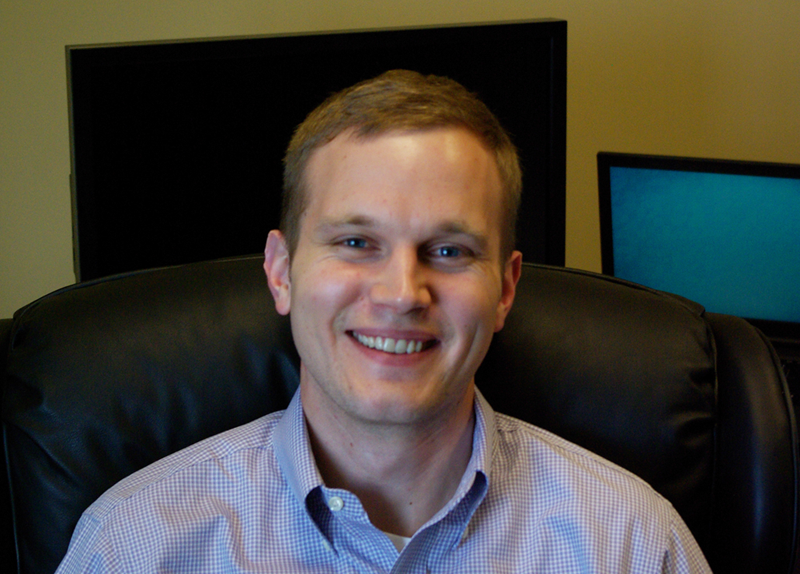 Adam English is now a Bioinformatics Scientist at Spiral Genetics, based in Seattle. 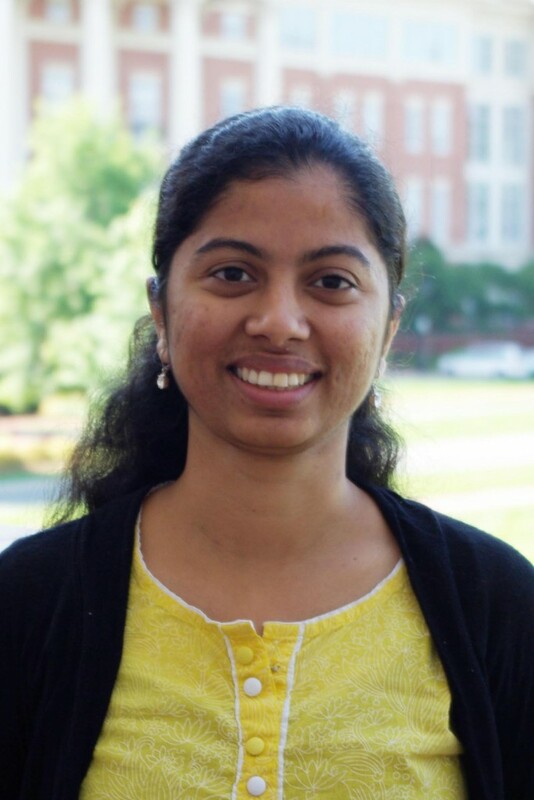 Archana Raja was a graduate student researcher on the IGB project team while working toward her Professional Science Masters degree in Bioinformatics. A versatile and dedicated scientist, Archana contributed to many projects. She led our IGB testing efforts throughout her tenure, and in her spare time, led efforts to make and test a new “bpmap” file for an Arabidopsis tiling array from Affymetrix. 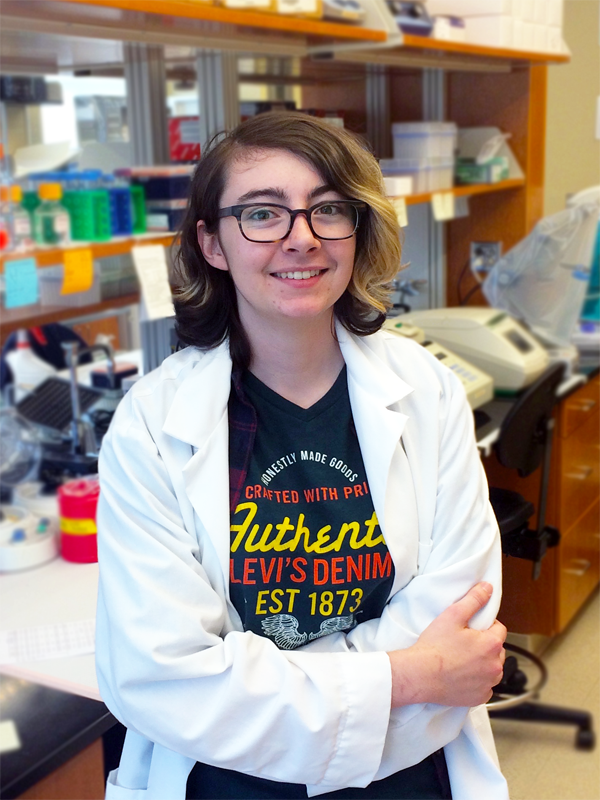 Since graduation, she has worked on blueberry genomics for NC State, data analysis for University of Chicago, and human genetics at University of Washington in Evan Eichler’s lab. She has also given guest lectures in the Bioinformatics Department’s Professional Development classes. For more information, visit Archana Raja’s LinkedIn profile. Nate Watson worked with us as a Graduate Student Researcher on the blueberry genome project while earning his PSM degree. As an intern, he worked on on assembling 454 transcriptome data. He tested transcriptome assembly programs and developed a pipeline for quality screening and assembling the data. 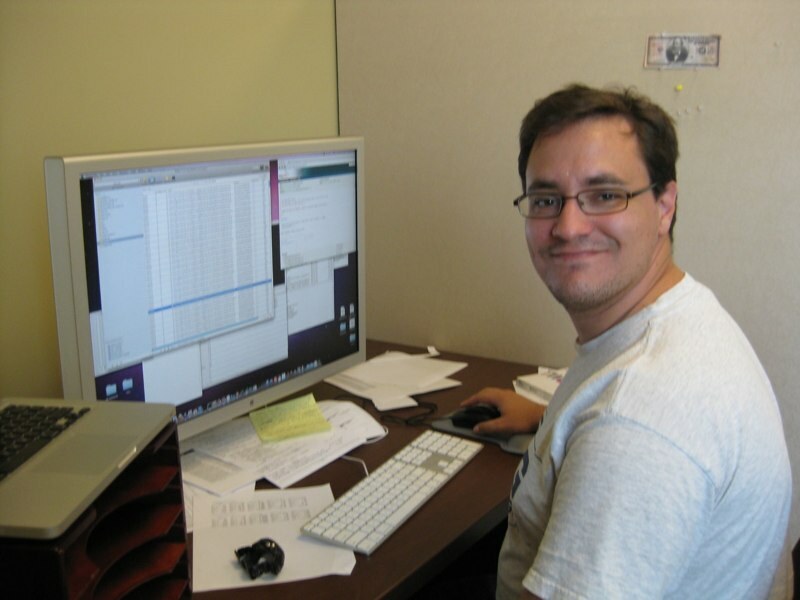 He also helped helped curate genome annotation and related data sets for the IGBQuickLoad.org data repository. As part of his work for the IGB project, he wrote code for converting GFF files to BED files. Following graduation, Nate joined a plant biotechnology company in Davis, CA which later became part of Bayer Crop Sciences. 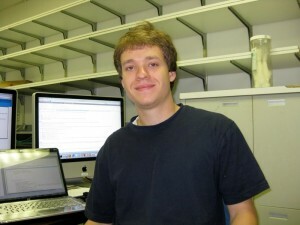 Nate Watson now works at Stanford Medical School as a Bioinformatics Analyst. Ehsan Tabari joined us as a rotation student during the summer of 2010. An expert software engineer, he added new features to the IGB software and also built a blueberry EST annotation Web site, making this an especially productive rotation. Ehsan then joined the laboratory of ZhengCheng Su on the main UNC Charlotte campus, where he is developed to methods to reduce effects of coverage bias in RNA-Seq data sets. He also continued to contribute ideas for improving IGB, such as a new type of coverage graph that plots the start position of read alignments. Ehsan Tabari is now a Principal Scientist at Roche Sequence Solutions. 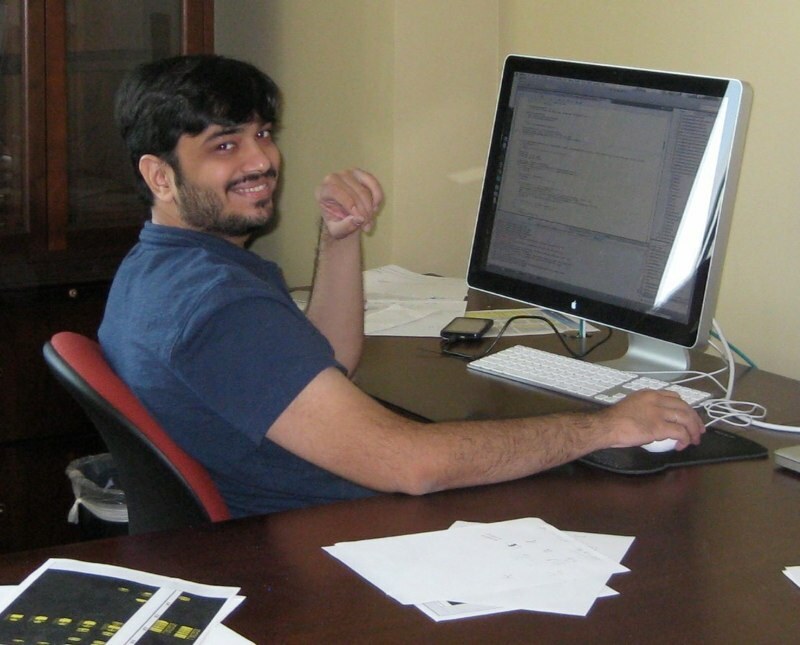 Vikram Bishnoi worked on the IGB project from 2011 to 2012 while earning his MS in Computer Science from UNC Charlotte. He made many contributions, including implementing the IGB Sequence Viewer, one of the unique features of the IGB software. The Sequence Viewer helps IGB users copy and translate genomic sequence data. Vikram is now a Vice President at Bank of America Merrill Lynch, promoted from his original position as as Technology Analyst. Developing code for IGB sharpened my skills on Core Java, Object oriented programming, and familiarized me with svn, and web, and application hosting. Also, it made me practice working in team, using several tools like JIRA for incident management, and visual analytics for effective representation of data. These skills cultivated and refined while working on IGB has helped me to expand my career opportunities and to add value to my role at my new job. Peter Pham earned a Professional Science Masters degree in in Bioinformatics in 2012. 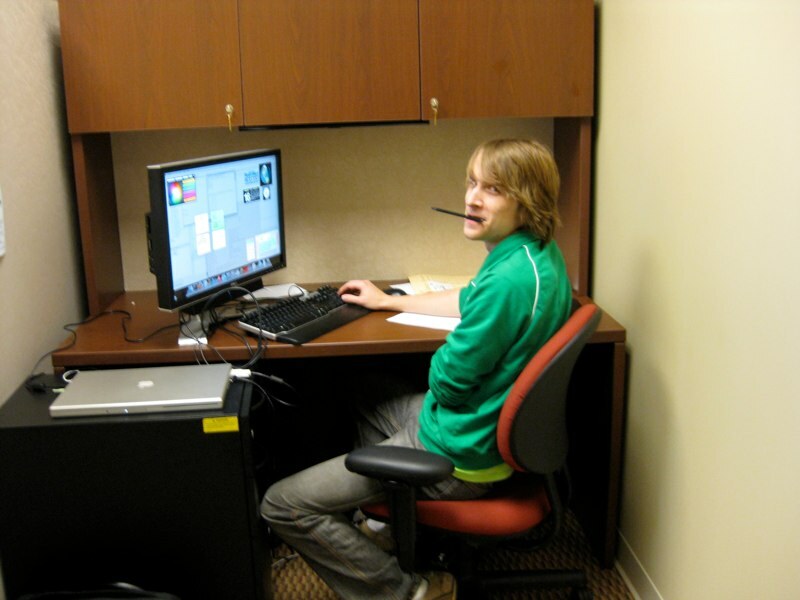 He worked with us during a summer internship, when he learned how to use DESeq to analyze RNA-Seq data. He also developed our first version of the PollenNetwork.org Web site. In addition to setting up the site, Peter experimented with adding custom modules to display and visualize RNA-Seq data. Peter now works for a bioinformatics consulting company in Maryland. (then a postdoc in Joe Kieber’s lab at UNC Chapel Hill) on co-expression analysis of Arabidopsis seed coat genes. She also helped out in the lab with collecting and processing samples for RNA-Seq, including Arabidopsis and blueberry. 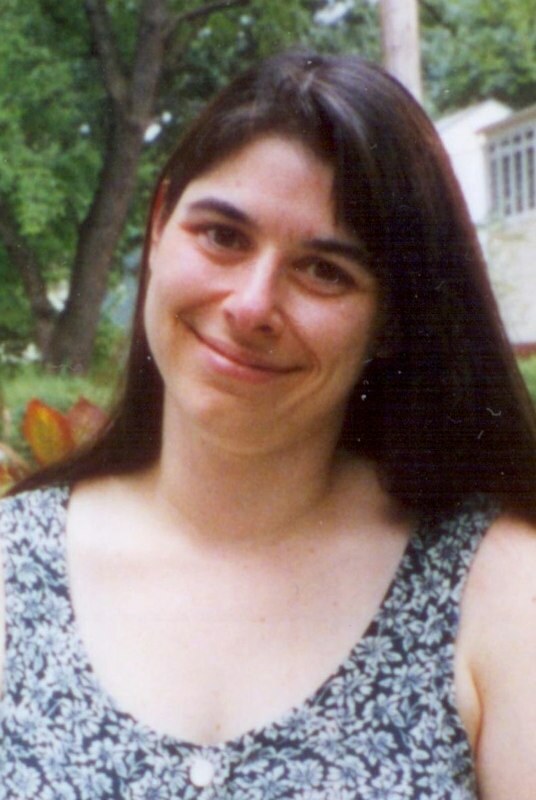 After leaving the lab, Shira earned a Ph.D. degree from Yale University, where she developed sequence analysis methods to investigate RNA structure. Dr. Stav has since returned to Charlotte, where she now works as a data scientist at Wells Fargo. Roshonda Barner joined us as a summer intern while studying math and biology at NC A&T University. During her first summer, she learned R and bioinformatics data analysis. She returned as a summer intern during the next three summers, eventually joining the Dept of Bioinformatics as a Ph.D. student. 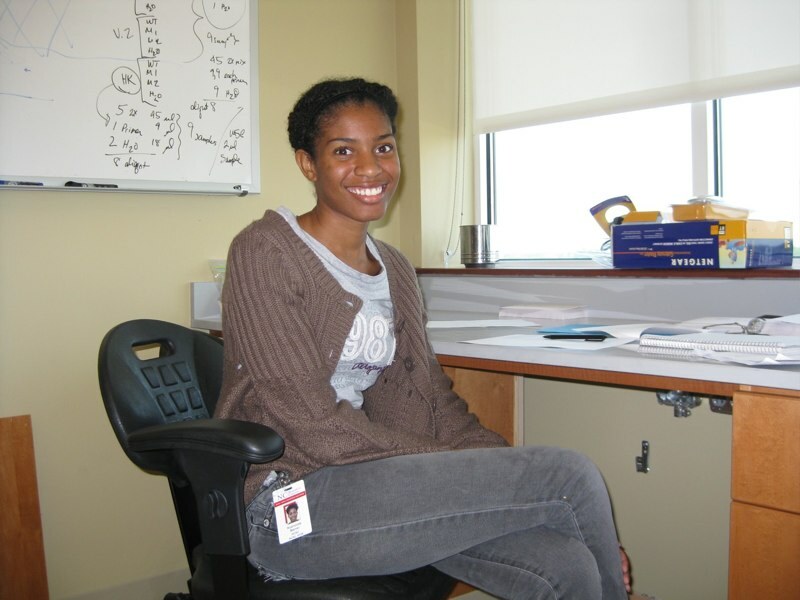 During her time in the Loraine Lab, Roshonda contributed to many projects, including co-expression analysis, RNA-Seq data analysis, and data wrangling for the IGB project. Dr. Barner now is a Postdoctoral Scholar based in Pasadena, CA. Ivory Clabaugh Blakley worked with us from 2012 until 2018. 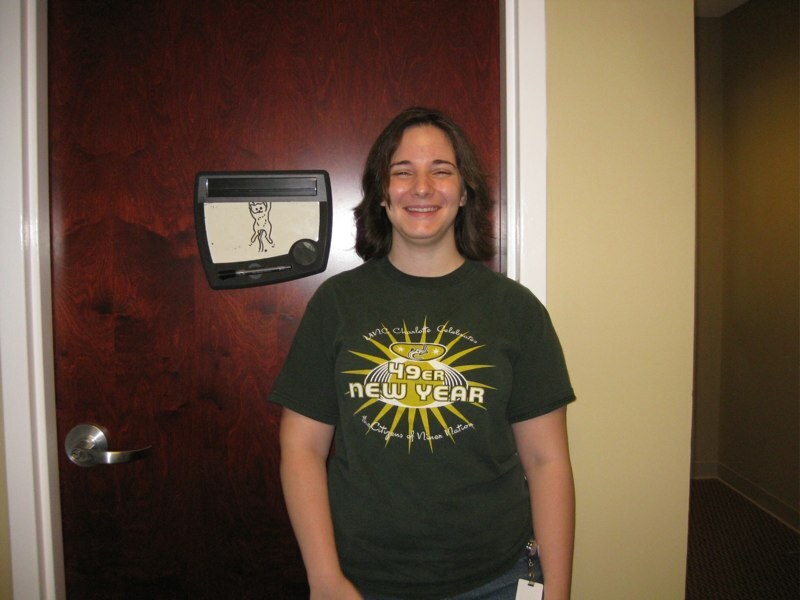 A graduate of UNC Charlotte, she first joined the lab as a lab assistant, eventually earning a promotion to Research Technician and then Research Specialist. At first, her role was mainly in the experimental biology lab; she helped run several experiments investigating how stresses affect splicing regulation in plants. Through taking classes and self-study, she gained new expertise in R programming and transitioned to data analyst. During her tenure, she contributed to many articles, mainly working with collaborators Joe Kieber (UNC Chapel Hill) and Eric Schaller (Dartmouth) on regulation of cytokinin signaling in rice and Arabidopsis. In her spare time, Ivory enjoys several hobbies, including bee-keeping, contra dancing, and tennis. Tarun Santhosh Kanaparthi joined the Integrated Genome Browser team in fall of 2012, his first semester at UNC Charlotte. During his tenure, Tarun added many new features to the software, helped improve IGB usability, and helped test new versions prior to release. Tarun earned his MS in Computer Science in Dec. of 2014. Following graduation, he accepted a position with Empirix, Inc in Boston. Empirix develops testing and monitoring tools for computer networks. In addition to writing code, Tarun enjoys traveling and playing tennis. Tarun Santosh Kanaparthi now works as a Software Engineer at Microsoft. 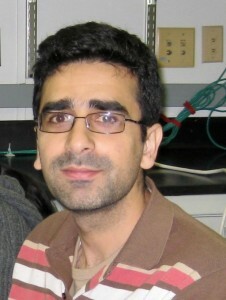 Nikhil Dahake worked on building a new version of CressExpress, a Web site devoted to mining Arabidopsis microarray data. Nikhil Dahake now works as a Software Development Engineer II at TenMarks Education, an Amazon company. Zhong (Nick) Ren worked with us from June 2011 until graduating in May 2012 with a Masters degree in Computer Science. A talented and dedicated developer, Nick improved many aspects of IGB. He improved the IGB bookmarking system, re-developed many facets of the IGB user interface, and also added a way for users to specify resolution of saved IGB images. After graduation, Nick joined the Center for Human Genome Variation at Duke University, where he implemented bioinformatics data analysis pipelines. 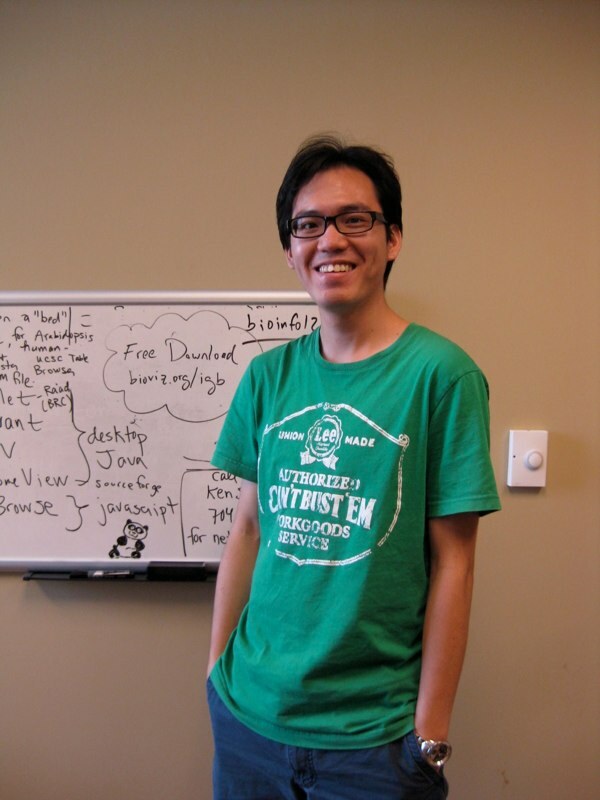 Nick Ren is now a software engineer specializing in big data in bioinformatics. He works at Columbia University in New York. 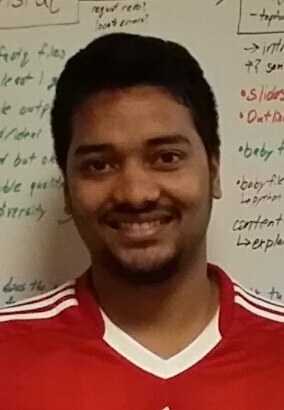 Vineeth Mylapur joined the group in 2012 while a graduate student in Computer Science at UNC Charlotte. Vineeth continued development of the Pollen Research Coordination Network site PollenNetwork.org, taking over from Peter Pham. He added several new features and helped improve the site’s utility as a community clearinghouse for pollen research information. Following graduation, Vineeth joined Rackspace as an Oracle Business Analyst, based in San Antonio, Texas. Visit Vineeth Mylapur’s LinkedIn profile to learn more about his current interests. Darius Bost worked with us in 2012 during the summer of his sophomore year at NC A&T, where he studied mathematics and biology. 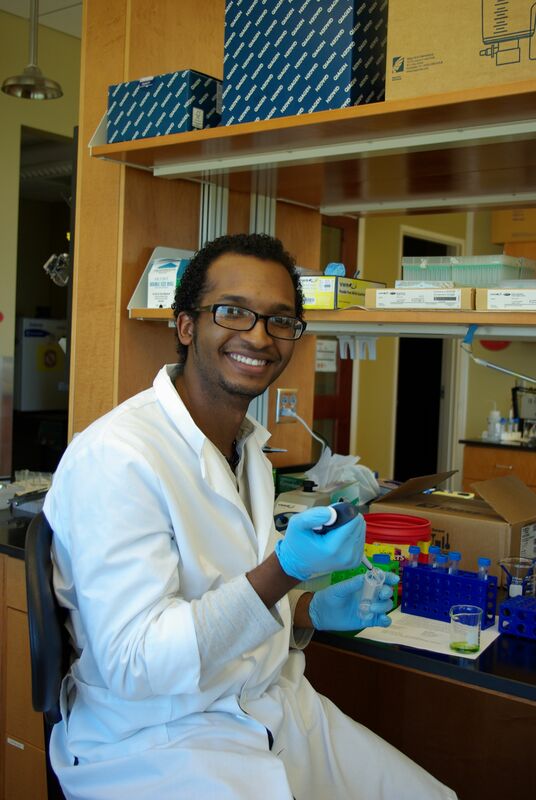 In addition to helping out with nearly every project then underway in the lab, Darius developed hands-on lab activities for high school students to learn about Mendelian genetics. One highlight of the summer was when Darius and the team hosted 30+ students and teachers visiting from Olympic High School in Charlotte. Using Arabidopsis floral mutants, participants learned about segregation ratios in genetics. Darius Bost is now pursing his Ph.D. degree at UNC Chapel Hill. Vikas Gupta joined the lab from March to July 2013 as visiting student from University of Aarhus in Denmark. After earning his his Ph.D. degree in Bioinformatics and Computer Science in 2014, Vikas joined CLC Genomics, also in Denmark, as Bioinformatics Scientist. During his stay in the lab, Vikas worked on many projects, but his main contribution was to the blueberry transcriptome project. Already an expert on genome annotation thanks to his graduate studies, Vikas took the lead on using our RNA-Seq data to annotate the May 2013 draft of the blueberry genome. Adam Baxter joined us from 2011 to 2012 while working toward his Profesional Science Master degree in bioinformatics at UNC Charlotte. 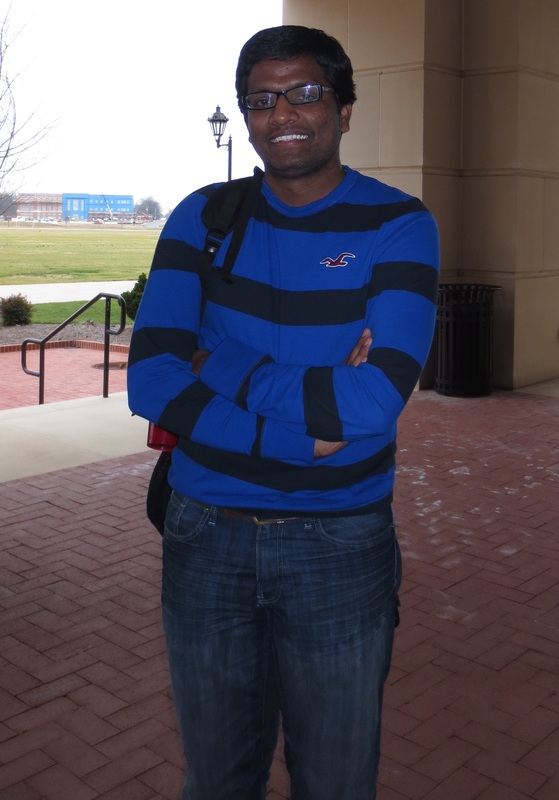 He contributed to the blueberry transcriptome project and was a Kannapolis Scholar, one of around 20 students who received a USDA fellowship to pursue graduate studies at the North Carolina Research Campus. In addition to doing research, Adam was active in the Bioinformatics Assembly of Students (BiAS) at UNC Charlotte and served as its fourth President. Following graduation, Adam joined Red Hat, where he works as a software consultant helping clients deploy open source infrastructure. Fuquan Wang worked on the IGB project while pursuing his masters degree in Computer Science at UNC Charlotte. He added many features, notably the superimposition of amino acid sequences when users zoom in on protein-coding gene models. He added code that guarantees high contrast between amino acid letters and their background, a feature we’ve since replicated many times throughout IGB and related applications, like ProtAnnot. Following graduation, Fuquan moved to Detroit where he worked at Compuserve. He now works as a software development engineer at Amazon Web Services. 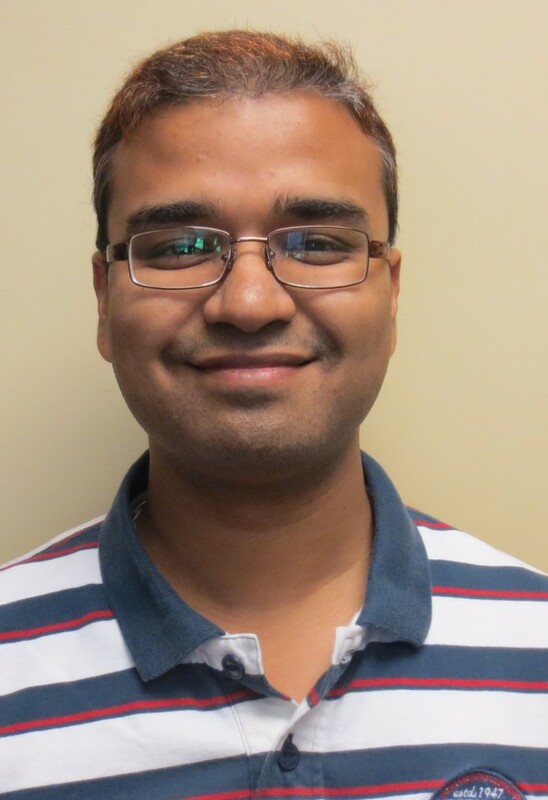 Praveen Babu Patchalla worked with us during 2012 while pursuing his Masters degree in Computer Science at UNC Charlotte. His main project was to maintain and add new features to the Pollennetwork.org Web site. One such feature was an on-line search tool that enables project participants to add a listing of new pollen-related publications to the Web site. Praveen found a way to query a bibliographic database, thus saving us the effort of having to enter author, journal, date, and other article information by hand. He also helped improve the look of the site and helped us migrate it to a new Web server. 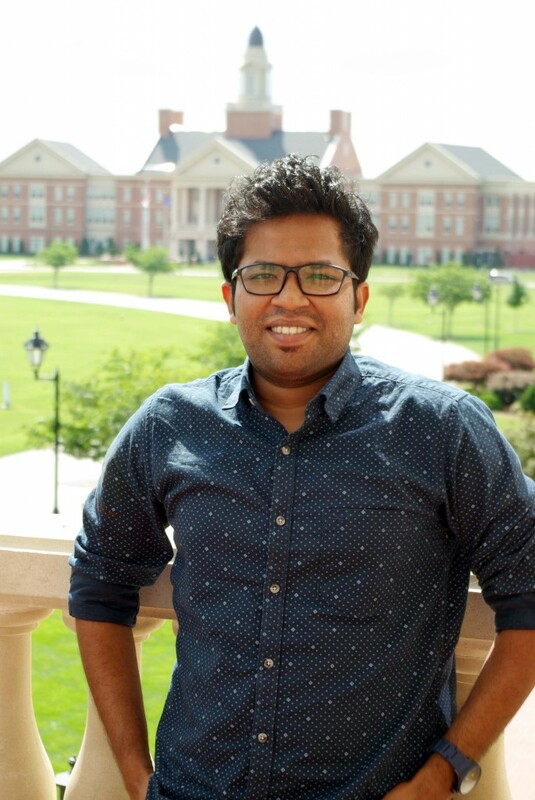 Following his graduation, Praveen joined the Janies lab at UNC Charlotte as a bioinformatics programmer, and then later accepted a position as a software developer at CNSI (Client Network Services, Inc.) in Maryland. Anuj Puram worked on the IGB project in 2012 while earning his masters degree in Computer Science at UNC Charlotte. Working closely with senior developer Hiral Vora, Anuj played a key role in developing the FindJunctions operator in IGB, which identifies and quantifies support for introns in RNA-Seq data. In addition, he developed the first version of the stand-alone FindJunctions tool, which we used for many years afterward. 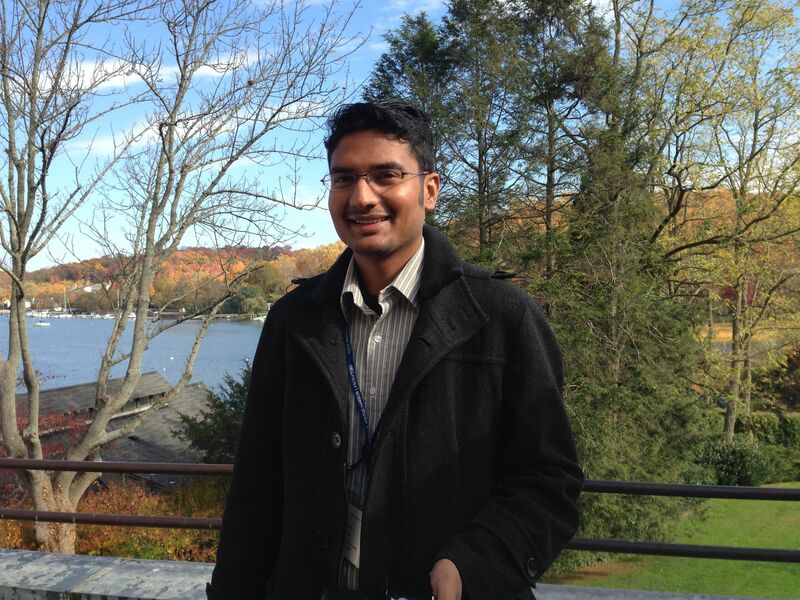 Following graduation, Anuj has worked as a software consultant on a variety of projects. Anuj Puram is now an Ember JS Developer at Q2, in Austin, Texas. Alyssa Gulledge, Ph.D. led outreach and testing efforts for the Integrated Genome Browser project from September, 2010 to to December, 2013. During her three year tenure, she took the lead on many critical efforts, including: updating and improving the IGB User’s Guide, designing new sequence alignment (BAM File) visualizations, developing better ways to test IGB in advance of new releases, and much more. She also helped us better understand users’ needs by constantly seeking their feedback and input on how they use IGB. 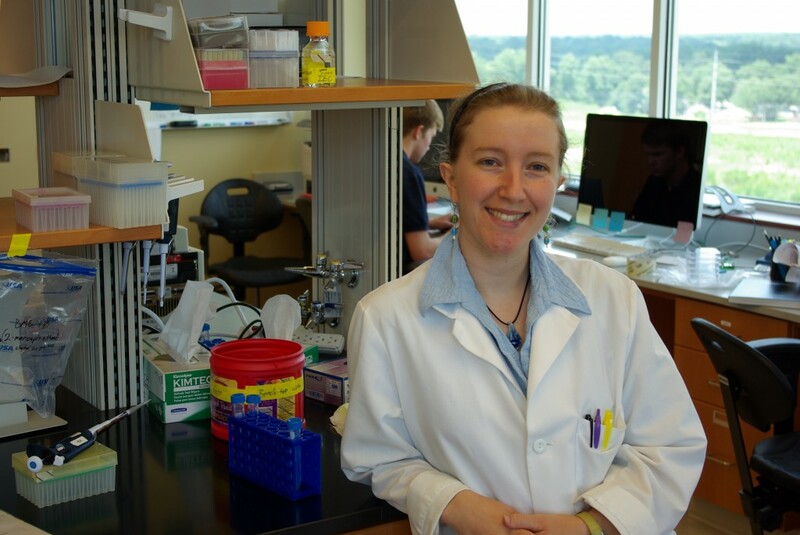 In 2012 and 2013, she helped organize the UNC Charlotte Workshop in Next-Generation Sequencing. In this role, she managed development of the conference Web site, supervised and trained teaching assistants, coordinated speaker schedules, organized logistics, and co-ran the meeting. Hiral Vora started in the group as a masters student in Computer Science. One of his first projects was to re-write ProtAnnot, ultimately published as a new IGB plug-able App. Following graduation, he rejoined the project as a staff software engineer, eventually taking over from John Nicol as the lead engineer on the IGB project. During his tenure, he managed our collaboration with Genentech and helped mentor many students. His contributions to IGB and to biology are impossible to estimate. Hiral Vora is now a senior engineer at Deutsches Bank. 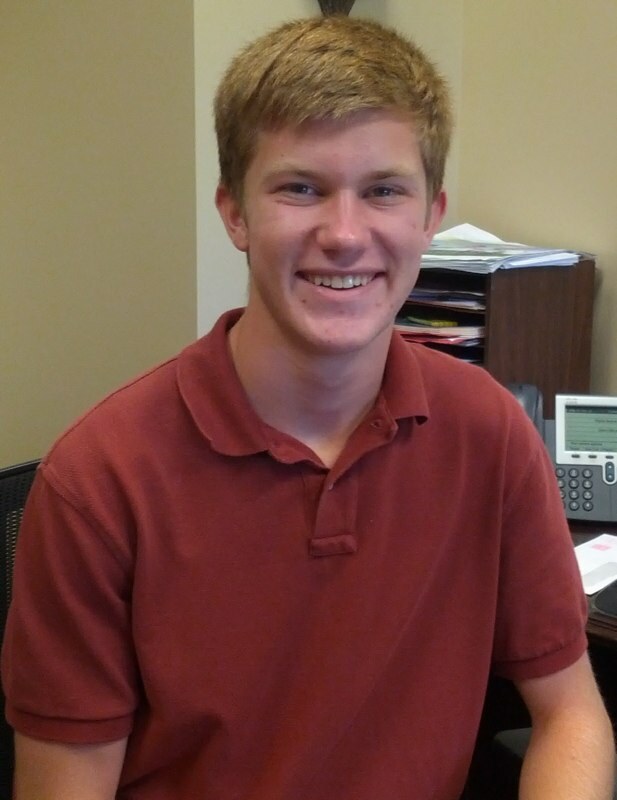 Brock Overcash joined us in July of 2012 for a summer internship following his junior year of high school in Rowan County, which is north of the Research Campus. 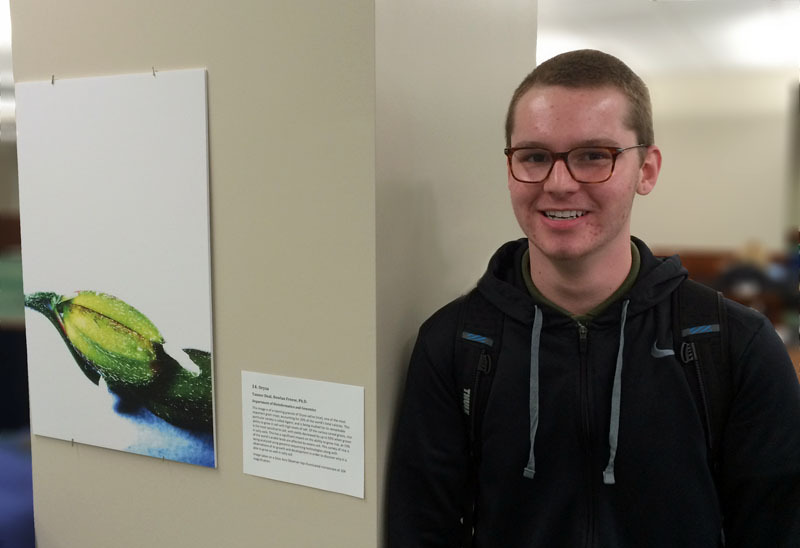 During his internship, Brock helped out in the lab, improved the BioViz Web site, and did quality control analysis of RNA-Seq data. After graduation, he attended college at Georgia Tech, majoring in computer science. 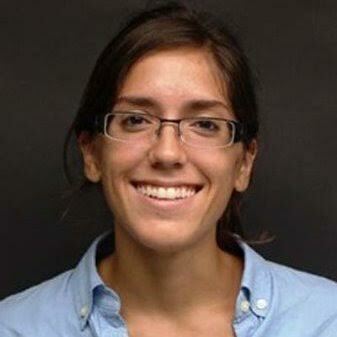 Britney David worked with us as a lab assistant while pursuing a degree in biology at UNC Charlotte. She also had many other jobs on campus, impressing us all with her energy and can-do spirit. 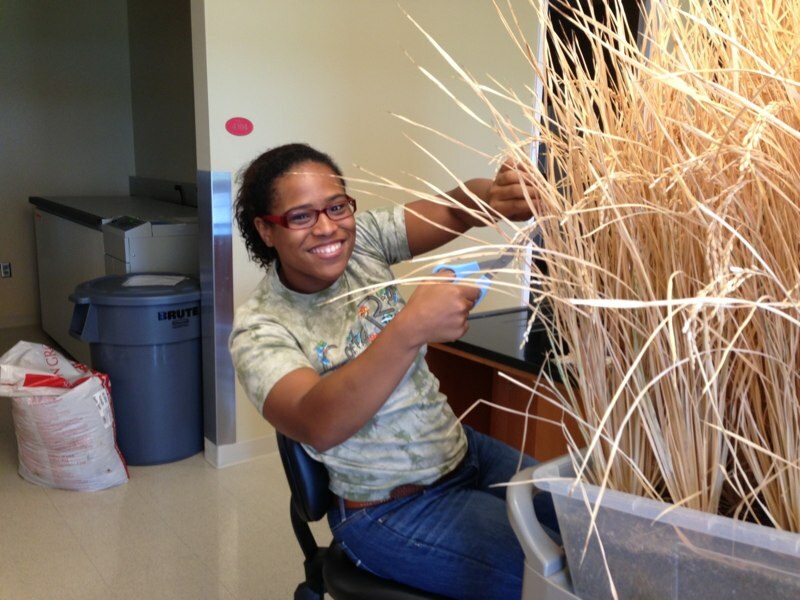 In the Loraine lab, she helped with Arabidopsis crosses, rice harvesting, and lab maintenance tasks. Britney is now pursuing career options in health sciences. Tarun Kumar Mall joined us in November, 2014. Tarun earned a Bachelors degree in Information Technology from Inderprastha Engineering College in June, 2011. 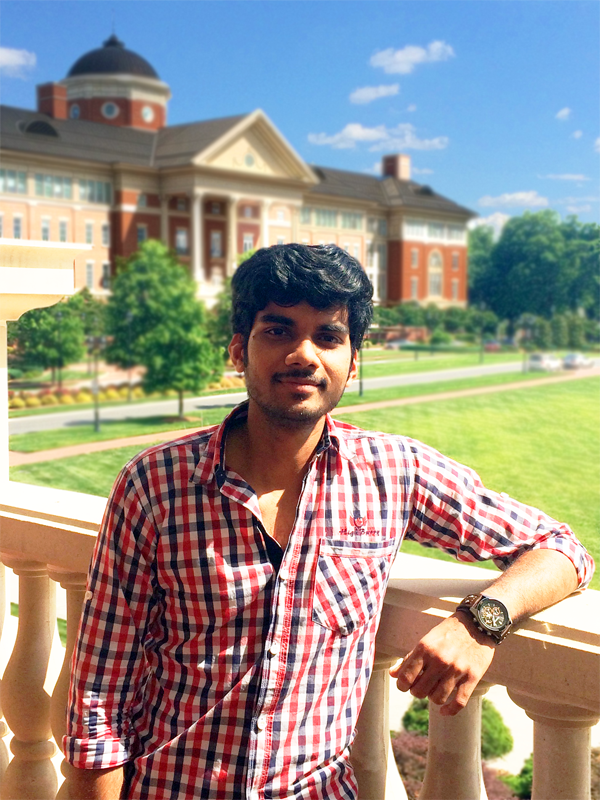 Before arriving at UNC Charlotte in fall of 2014, he worked in commercial software development at L&T Infotech. While a programmer on the IGB project, Tarun implemented dozens of new features, contributed to the design of our new IGB services API, and wrote major parts of ProtAnnot, an IGB App for visualizing protein domains in the context of genomic sequence. During his tenure, he impressed us all with his love for programming, professionalism, generous spirit, and deep insight into all things code-related. 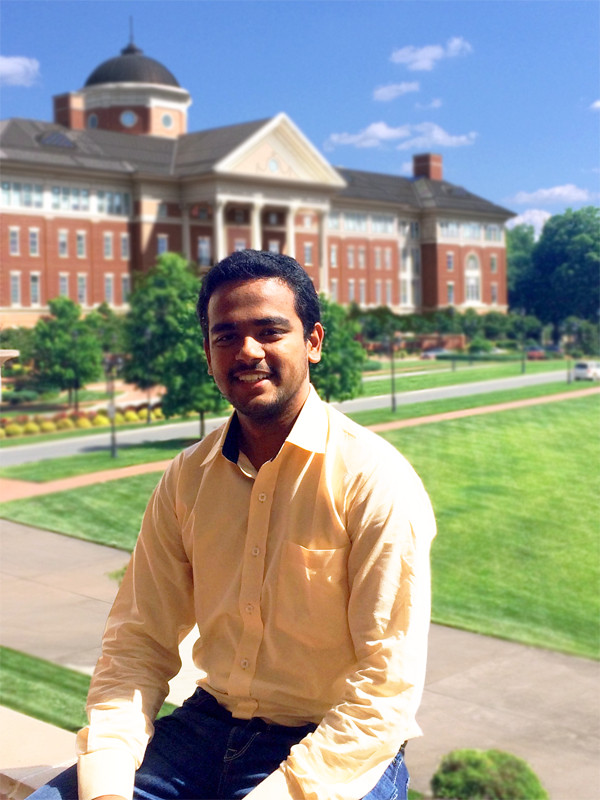 Tarun graduated in Dec. 2015 with a Masters in Information Technology at UNC Charlotte. He now works as a software engineer at Amazon. 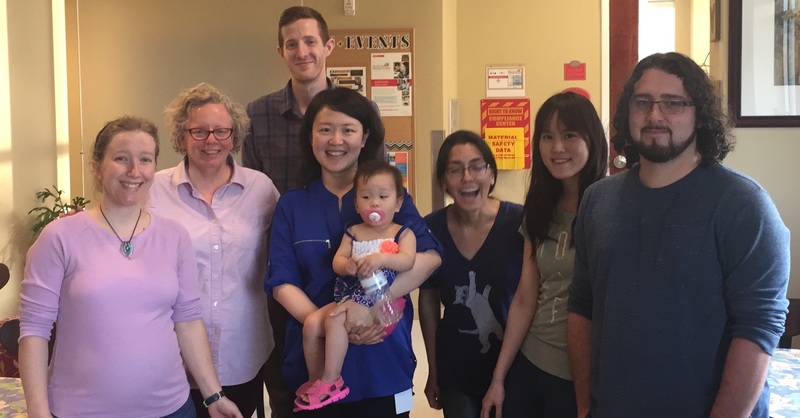 Jinjie Duan (center) from University of Aarhus in Denmark joined the lab as a visiting Ph.D. student in spring of 2016. In the photo, Jinjie is holding Amy, her one-year-old daughter. 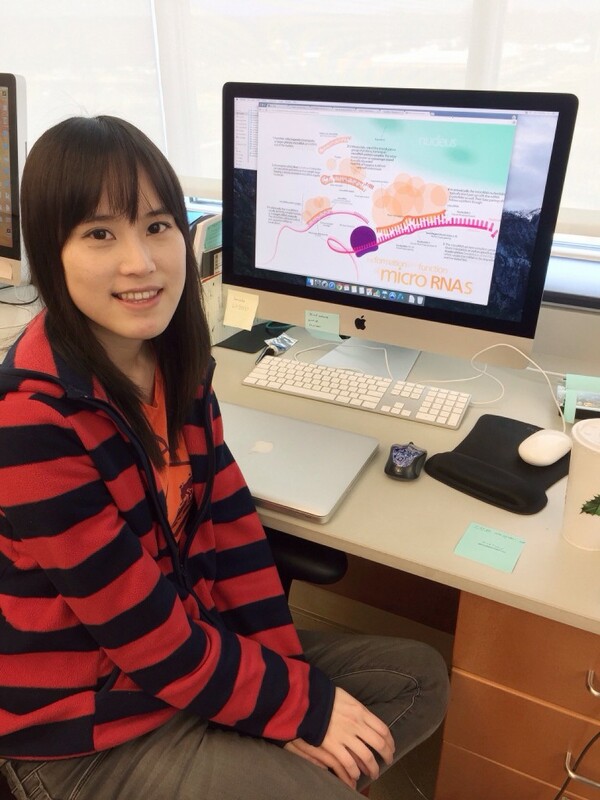 During her visit, Jinjie developed methods for improving gene annotations built from RNA-Seq data. She worked closely with Ann and Ivory (left) on a project investigating alternative splicing in rice. Before starting her PhD program, Jinjie worked at the Beijing Genomics Institute. At University of Aarhus, she has worked on genomics of python and spider. Bioinformatics Professional Science Masters student Daniella Triebwasser Freese worked with us on the IGB project during the spring semester of 2016. Her first experience working on professional-grade software, she learned a huge amount and also contributed a huge amount. She helped us migrate the IGB code base to JavaFX and also entirely re-wrote the FindJunctions program, a core piece of our alternative splicing analysis infrastructure. Danny Freese now works as a Software Engineering Consultant at Stackleader, co-founded by fellow IGB project alumni John Eckstein and David Norris. A graduate of Virginia Tech University, John Eckstein worked for several years as a consultant for Red Hat, based in Atlanta. 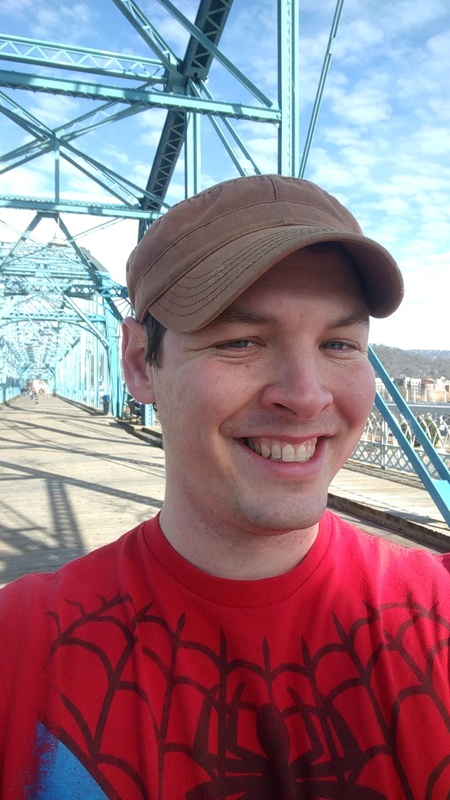 After learning about his former co-worker David Norris’ work on the IGB project, he decided to make the transition from consultant to full-time open source software developer here in the Loraine Lab. John contributed to several efforts, including re-vamping aspects of IGB’s services-based architecture, helping migrate IGB to JavaFX and building a new version of ProtAnnot that runs as an IGB plug-in. John now co-leads software consulting business Stackleader, based in Concord, NC. 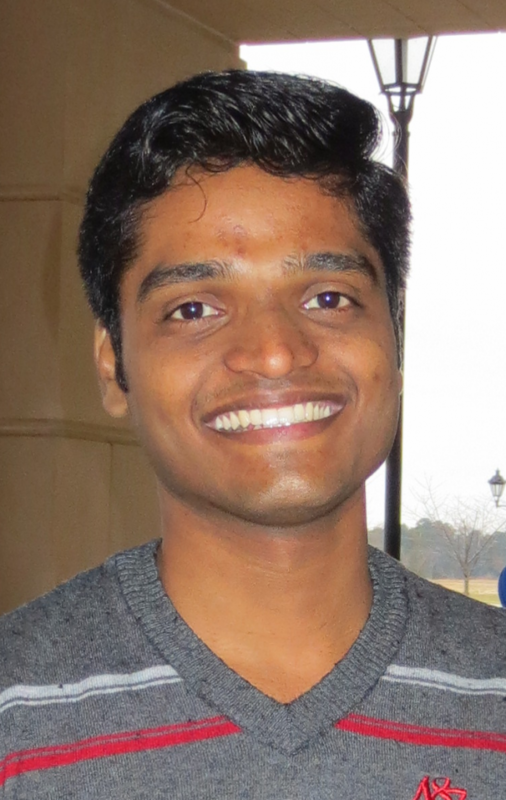 Muralidhar Akurati joined the Loraine Lab in May 2016, following his first semester in the CS Masters program at UNC Charlotte. Together with fellow CS student Devdatta Kulkarni, he helped to build and battle-test new versions of the IGB Apps platform – IGB-FX. Muralidhar received his Bachelor of Engineering Degree from Andhra University in 2014. He then joined Tech Mahindra, a software development firm serving multiple clients worldwide. At Tech Mahindra, he worked on projects related to product integration, testing, and migrating software from .NET to Java. Tanner Deal joined the lab as a high school intern in the summer of 2015 and stayed on the following fall as a lab assistant. During his time in the lab, he helped with numerous projects, including our outreach activities introducing science to local students in the community. 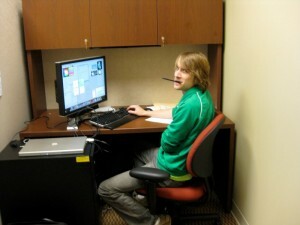 Tanner is now studying biology at UNC Charlotte. Ying-Chen Lin joined the lab in the fall semester of 2015. Working with April, she helped assess differential alternative splicing using fragment analysis on an ABI sequencer. Prior to joining the lab, Ying-Chen earned a masters degree in horticulture from NC State University, working with Dr. Allan Brown, who has since moved to the International Institute of Tropical Agriculture in Arusha Tanzania. Ying-Chen’s thesis research involved using our first blueberry genome releases (from May 2013) to develop and test new markers for a genetic map of blueberry. Working with the bioinformatics team, she then used her data to help us assess and validate a newer release of the genome assembly from August 2015. 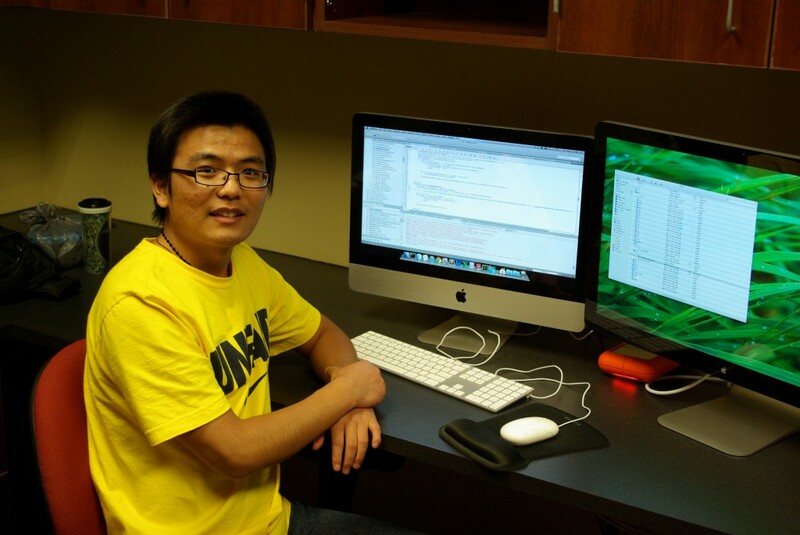 Ying-Chen is now working on melon genetics as a Ph.D. student a Michigan State University. Jessi Davis joined the group during the summer of 2016 as a student intern during her junior year at A.L. Brown High School in Kannapolis. Working closely with mentor Nowlan Freese, she investigated the function of alternatively spliced genes. She contributed to many other projects, as well, doing everything from tending plants to running gels. She did great work, and we know she has a bright future in whatever field she decides to go into! 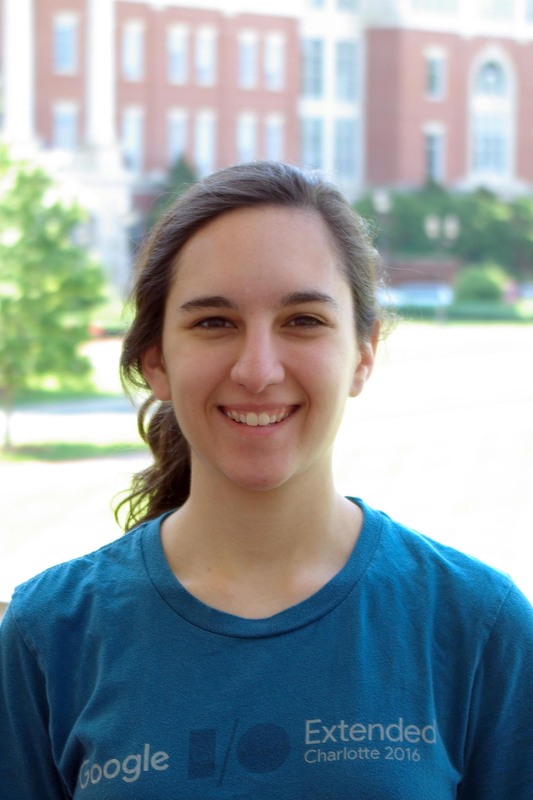 Molly Crowder joined the group in summer of 2016 as a Graduate Research Assistant, focusing on analysis of alternative splicing. Molly earned a BS in Biology from Wingate University in May of 2015. 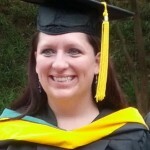 The following fall, she started the Professional Science Masters program in Bioinformatics at UNC Charlotte. Her first year in program, she took classes in data analysis, bioinformatics programming, databases, and genomic methods. Molly mastered these skills well enough to help Dr. Loraine teach Statistics for Bioinformatics, a required course in the Bioinformatics minor. She served as a Teaching Assistant for BINF 3121 Statistics for Bioinformatics in Fall of 2016 and Spring of 2017. 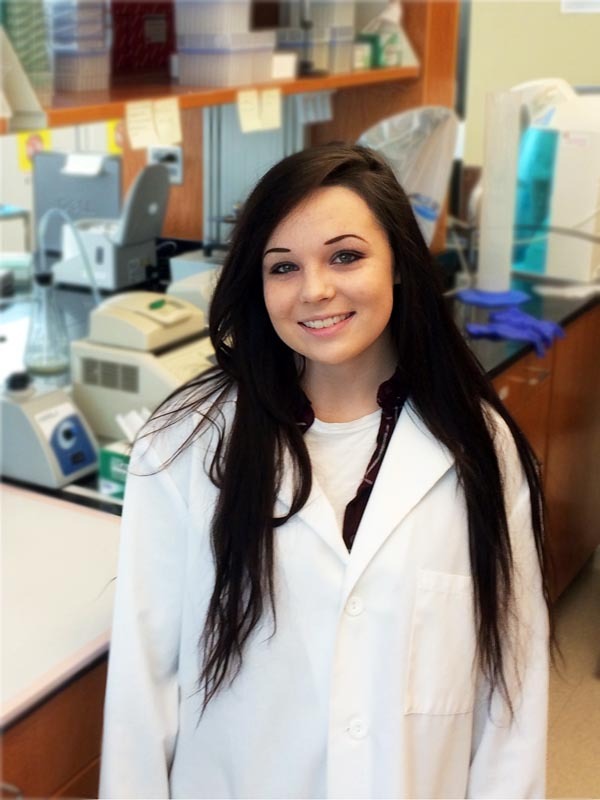 In Fall of 2017, Molly will join the Ph.D. program at University of Illinois, where she plans to student microbial ecology. David Norris received his Master’s degree in Computer Science from UNC Charlotte in 2012. Prior to this, he earned a Bachelor’s degree in History at UNC Charlotte. During his graduate career at UNC Charlotte, he added many new features to the Integrated Genome Browser, including several important improvements to the user interface. He also updated and modernized the PollenNetwork.org Web site. 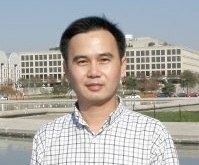 Following graduation, he joined Red Hat as a software consultant. At Red Hat, he gained new expertise in linux server administration, JEE web application development, developing applications for cloud environments, cloud server administration, and agile software development methods.In February, 2014 he rejoined the team as lead software developer for the Integrated Genome Browser project. In early 2017, he left the lab to co-found Stackleader with fellow IGB project alumnus John Eckstein. 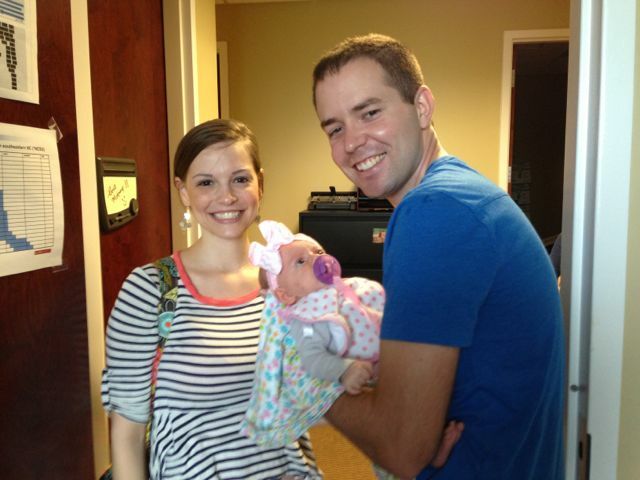 David enjoys spending time with his family (wife Rachel and daughter Pearl), running, and learning about new technologies and software tooling. Devdatta Kulkarni joined the Integrated Genome Browser team in May 2016 to help develop IGB-fx while also maintaining IGB-Classic. Devdatta is a graduate of Pune University, where he received a Bachelor’s degree in Engineering with a focus on Computer Engineering. As a student intern at Persistent Systems Ltd, he co-developed a DNA cryptography-based algorithm for secured data transfer over high speed networks. Following graduation, Devdatta re-joined the company as a software engineer. During his first studies at UNC Charlotte he has taken courses in visual analytics, big data analytics, cloud computing, and design. Devdatta Kulkarni now is now a member of technical staff at TIBCO Software, Inc.
Jennifer Daly joined the Lab as undergraduate student studying computer science and bioinformatics. During summer and fall of 2017, she worked as part of the Integrated Genome Browser team. In addition to helping with code maintenance, she worked on building Apps to link IGB with cloud-based storage and computer resources such as Google Drive and CyVerse. Ashwini Kadam worked on the Integrated Genome Browser project from fall 2017 until fall of 2018. She developed a prototype App for connecting to Google Drive and also updated multiple out-dated user interface components in the IGB interface. 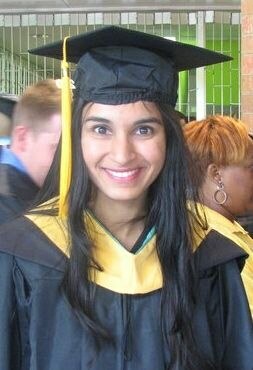 Following graduation, Ashwini moved to California, where she now works at Siemens PLM Software as a Software Engineer. 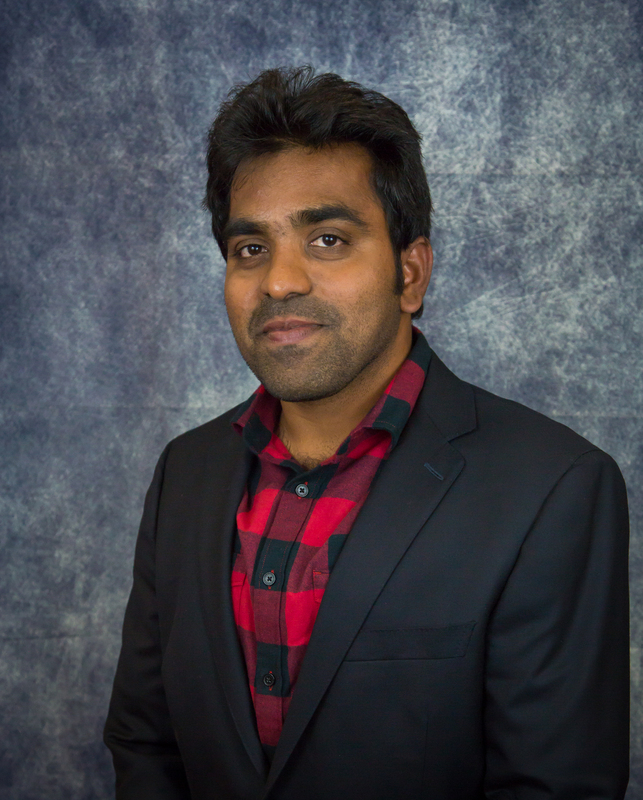 Sanket Patil joined the IGB development team in June of 2017 as a Graduate Research Assistant while working toward his Masters of Science degree in Information Technology. Before coming to Charlotte, he worked for two years as a software engineer at Prorigo Software Pvt. Ltd in India. Sanket holds a Bachelors degree in Instrumentation Technology from the University of Mumbai and a PG-Diploma in Advanced Computing from CDAC, also in Mumbai. Since joining the project, Sanket made numerous contributions, everything from adding new functionality to improving our build and release process. 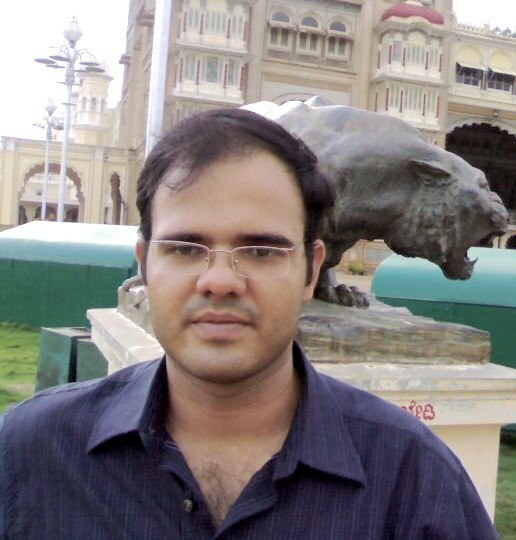 In addition to his work on IGB, Sanket contributed to CressExpress.org, a bioinformatics data mining site. His chief contribution was streamlining and updating the deployment process. Thanks to Sanket, CressExpress can now be easily deployed and tested using containers. In addition, Sanket deployed the CressExpress database on Amazon RDS, thus enabling “power users” to develop new data mining methods. Sanket Patil received his MS in Information Technology in May 2018. Since then, he has joined MicroStategy, based in the Washington DC area, as a software engineer. Deepti Joshi joined the Integrated Genome Browser team in Spring of 2017 during her first semester as a CS Masters student at UNC Charlotte. Deepti graduated from Pune University with a Bachelor of Engineering Degree in Information Technology. She then worked as a software engineer for two years at Tech Mahindra in India. Her work there focused on developing billing applications for AT&T and providing 24/7 support. In this role, she worked with technologies such as IBM Mainframes, COBOL, DB2, JCL, IMSDB. 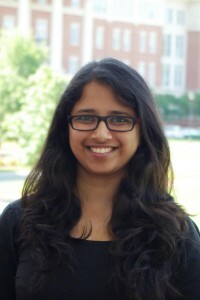 Deepti Joshi received her MS in Computer Science in May 2018. 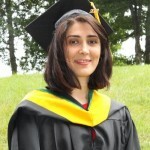 Following graduation, she joined and is currently seeking full-time opportunities in IT and software development. 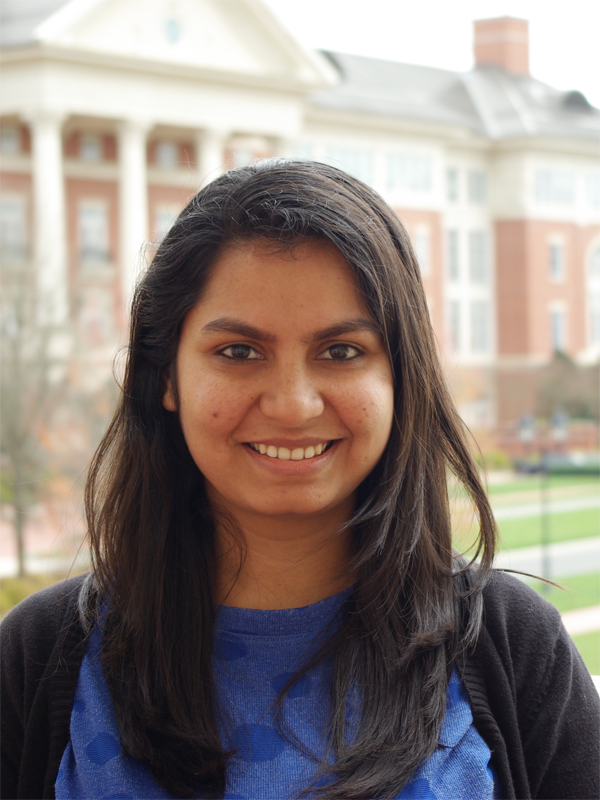 Sneha Ramesh Watharkar joined the Integrated Genome Browser development team in March 2018 during her second semester at UNC Charlotte. Sneha earned her Bachelor of Engineering and Computer Science and Engineering with Distinction from B V Bhoomaraddi College of Engineering and Technology in Hubli, Karnataka, India. After earning her undergraduate degree, she worked for several years as a software engineer in Bangalore for such companies as Bharat Electronics Ltd, Practo Technologies, and Sears Holding of India. During her various positions, she worked with a range of technologies and tools we also use in the IGB project, such as Jira, Maven, and others.